Some of the best things in life are free, and by applying a little discretion, we can certainly apply this to Android games. There are a whole ton of free games on the Play Store but this selection is for games without in-app purchases and no ads. Just because a game is free with no IAP doesn't mean it has to be poor quality. Some of the best free games out there can take on the big-budget giants with nothing but passion, great design and goodwill. 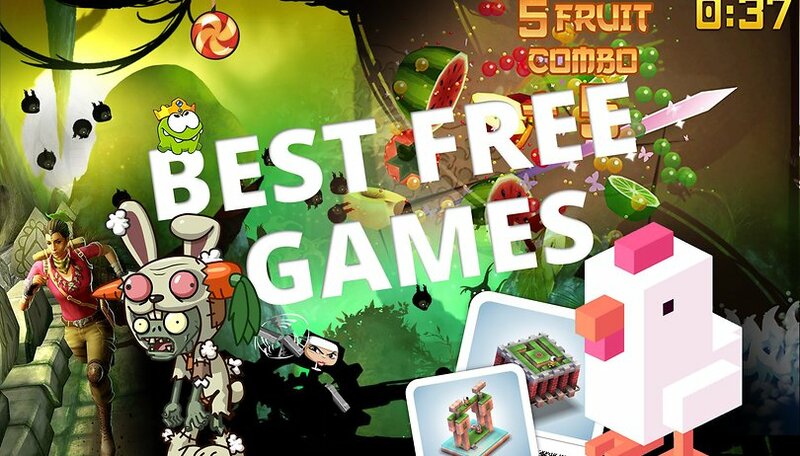 These top free Android games won't cost a single cent. Enjoy them without any strain on your wallet or annoying ads! Battle for Wesnoth is an unofficial Android port of a turn-based fantasy strategy game that already has a dedicated community on PC. The free game has several story-based campaigns, and a ton of different units from various fantasy races. You can play vs AI or other players. Battle for Wesnoth has been around for years and doesn't boast lush graphics, but it has plenty of depth and still receives regular updates from the developers and community. A real work of passion, the Android version handles well and isn't too demanding at all on a modern phone, though you'll want a decent sized screen for a good view of the action. In this free deck-building game, you take on the role of the leader of a spooky Lovecraftian cult on a mission to summon your chosen eldritch abomination into the world. As you play your cards, you also draw new ones representing unexpected events that can help or hinder your progress. The audio provides a suitably creepy atmosphere, with a nice touch being the in-game radio that reports on how the world is being changed by your actions. Underhand is a complete game, if a little short, the random elements afford some replayability. Gamers of a certain age will remember losing many hours of precious youth to brutal first-person shooter pioneer Doom. This game is effectively a Doom port made with an original set of assets and game levels to avoid falling foul of copyright. Freedoom basically plays just like the classic, as the assets are different but still recognizable in the style of the original. You're still blasting ugly creatures in a vaguely industrial wasteland, and all the fun action, atmosphere and tension of Doom is right here in a not-so-different skin. As an added bonus, you can always load your old (legally owned, of course) original Doom WAD files into the app's config folder, if you want to play the real thing on your phone. Fantastically, this also goes for related games on the same engine, such as Heretic, Hexen, and Strife, or the various mods of these games available online. This game puts you in the evil shoes of what is normally the enemy in video games - a dungeon boss. Tasked with building your lair of evil and filling it with monsters and traps to destroy the pesky do-gooders who insisting on invading and disturbing your peace. Make them pay, because you won't have to. The various Pixel Dungeon titles are roguelike dungeon crawl games with primitive graphics (but great gameplay), that punish failure harshly, but were so easy to pick up and play again after every character death that I stopped worrying and learned to love restarting. It's a simple tap to control everything, and although the 'basic' Pixel Dungeon game by Watabou has unlockable character classes and tons of items to enjoy the game with, there are plenty of other addictive versions such as Shattered Pixel Dungeon, Pixel Dungeon Unleashed etc., that offer twists and different features based on the original. Unciv is an open-source reimplementation of the classic Civilization-style game of empire building, expansion, resource management, economic and technological development. It basically plays like Civilization V, but with very simple graphics. Nonetheless, the strategic depth is impressively preserved and Unciv is a small and lightweight app that runs like a dream even on low-end smartphones. This sweet little shoot-em-up puts the old-school spaceship 'bullet hell' scenario in a neon-clouded skin with simple but attractive graphics, but the real draw is the fast paced action. It's basically blasting stuff, in different ways, unlocking rewards and basking in the moving colors and sounds: what more do you want for free entertainment? This game is roguelike dungeon crawling game with random area generation and a variety of different classes to choose from, items to collect and monsters to slay. Based on the old school Nethack ruleset, Pathos is still being updated with quality of life fixes, and offers a choice of graphical tiles and hours upon hours of play time. Warfare Incorporated is an old school favorite, originally for Windows Phones and PalmOS devices, but its style hearkens back even further to the Command and Conquer real-time strategy games. You must build up base and produce an army to control resources on the newly discovered planet of Icarus. Sure, Warfare Incorporated looks dated by now, but the experience stands the test of time and you won't find a more fully featured mobile RTS for completely free. The Gloomy Dungeons series of indie games are first-person shooters in the classic Doom/Wolfenstein mold with some modern additions like sniper rifles and dual-wielding weapons. Note that while Google Play does say it has ads, it's only a single small banner on the main page for advertising the other games from the studio which are also free, so I'll allow it. The game is free and even comes with built-in cheats, if you just want to give yourself all the weapons and powerups and let 'er rip. While it's on the Google Play store, fans of alternative open-source repositories can also find it as one of the few games on F-Droid. Still on the hunt for great mobile games? Have you discovered any free Android games that we should mention here? Let us know, and it might just make the list one day. but the real draw is the faced paced action... What is that? Is it 'faceplant' or maybe palm/face? Any other guesses out there? Thank you, not easy to find such games in good number so as to make your choice for the most favorite. Thanks for this list...will try! I just heard these games and it looks very interesting and I want to play them all. Just want to share that I'm addicted with bingoscanner.com. Nice list, I have enjoyed a few of them. Right now I'm playing a new one called Race Zero, which is amazing. To any F-Zero fans out there, you will love it! Great list! All of them are great game and my fave here is the Shadow Fight 3 and my most fave is found in bingoscanner.com. It is really interesting! They may be free to download but then your blasted with ads have to give permission to all your data, not to mention all the in app purchases you blitzed with. I miss just being able to buy a game with out all that garbage that goes with them now. Dear Nicholas, please check out WorldCraft : 3D Build & Craft on Google Play. Its Free, and played by many players online. I hope, you will like it too. hey Nicholas check these games out i think you will love some of them out..
What about the game Color Flow by One Thumb Games on Google Play? You should try out the game. You can play or create your own puzzles and challenge others. Nice list. I love to play Plague Inc.
Nice list. I love to play Clash. Awesome List Brittany, I really like the CSI and Quiz up games from your list been my fav's for quite some time now. I would like to suggest one such trivia puzzle that am stuck by currently Words To Emojis, it's a simple and addictive game just match the emojis with the displayed words and clear the level. I am playing clash of clans since very long , great fan of supercell . They just need to update faceto face challenges. Such wonderful list of top free games. All the games are my favorite. Thanks for sharing it. I like interaction games which you must think and play fast like Fruit Ninja, Fish Crush, and Piano Tiles. In the beginning it looks easy but harder quickly. These games also have creative graphics, let enjoy them now! Hi! I really like Chameleon Run, even when is not in this post XD but i wanna recommend a new indie game called Dodgeball Arena! A merge of powers, action and sports :D it's very cool! I hope you like it.. I would like to mention the DoubleDown Casino website and the app. There are really a lot of interesting casino games in this website. It is my favorite one and I like the poker there. I always use free promo codes from websites, like this one www.doubledowncasinocode.com for example and never used to pay money for chips. Great list! A very very great list of my fav games, otherwise if you searching of game cheats you can go here www.androtransfer.com or coc cheats www.clashofclans4gems.com or maybe looking clash royale cheats here www.clash of to take back.com cheers! I don't really think this list is fair because, just for a few examples, strategy games had seven suggestions, puzzle games had thirteen,and party games listed eleven. But of course, my favorite type of games, which are the RPG's, only had a measly four suggestions. Is this list supposed to be geared to the most popular types of games, or did you just list the best according to your opinion? I find tapping games, and party games tedious, simplistic for the most part,and uninteresting, but that's just me. I realize that I am not like most people. Search in google play "pub:Cube Software" and download the game Cellular, if you think your reaction time is good, this game will prove otherwise! You can add on your list the Thumb Drift. It is the same like Tokyo Drift but this one will be using a thumb. I'd really appreciate it if anyone would want to try out the game that I've developed, my main focus was to make it simple enough for anyone to enjoy it. Here is the link: As new users can't post links, just search "Jumpy Ring" on Google Play Store. I will check on this game. This is addictive? :D Have you tried game called Cityman ? I found this article by googleing 'are there any good free android games?'.... Having played a lot of the shlock on this list and being totally uninspired by the rest I suppose the answer remains a resounding NO! Idle Town! You need to add it! I have 3 games mentioned in this list. I am now addicted to a game called One Man Army. Hey priya, i am a Android game lover usually i spend much time in playing games on mobile,Bdw How can i get this game? What about some bloody fun time, with our newly released Get Dicey ? Sense of dark humor recommended, kids seems to love it! Wow !... its like Minecraft meets Mince meat! ... MINCECRAFT.. so cool! I came across this new march release Top charts in UK Dash - Twisty Circle [ play.google.com/store/apps/details?id=com.smartdev.dash ] Simple musical addictive game play, good time pass game..
Grabnfly providing a fast, easy gameplay and satisfying game that's perfect for mobile platforms. Some of these games look incredible. My favourites are probably Angry birds 2 and Crossy road. I've just released my own game called Ronnie the Rooster (shameless plug). This bird is ambitious, cute clumsy and comical. Let me know what you think! Not the type of games for a 65 year old woman. I want word games and solitaire.is that so difficult? Though monument valley is paid,it is one of the beautiful games on android. The candy crush is awsome but it's limited with only 5 lifes. If you want to play a kind of candy crush game with out those limit, I would like to introduce "Cookie Sweet", it's the coolest match 3 cookie game. You can search "com.geniuspham.cookiesweet"
Hello dear comment viewers, please take some time to check out my free game, Space Lord 2. It's an arcade space shooter and tons of fun. 100% free, no advertisements or in app purchases. Play "Annoying Brain" it is available for both Android and iOS. Annoying Brain basically a brain game and will force players to control their mind and concentration. Some really good games abd apps here. Dead trigger 2 and dead effect 2 are amazing games, have played them for sone time now. Cannot believe that Kritika was left off this list though. It is the best MMORPG on android playstore by far. Brilliant graphics and fast paced gameplay combine to make this game top of my personal list. A cross of dynasty warriors, final fantasy and DMC, this game will have you addicted if you are a fan of hacl and slash RPG style games. "Word War W" is a great little word game with a funny name (think World War Z). It combines arcade elements with word spelling. It's fun and can get quite challenging. Besides it helps teach spelling and fast typing. Probably nothing else like it out there. i love clash of clans, dumb ways to die, boom beach, and subway surfers. I f you ask me angry birds is getting very old and boring. Do You remember Flappy Bird? Now this one is very comparable. I like it. I highly recommand CLASH OF CLANS. Once you start playing it, you will forget other games at all. I also recommand 8 Ball Pool and Zig Zag. Personally, I used to play these three games. But Thanks for this great info! Star Wars Galaxy of Heroes is relatively new with great potential! Great info.I like all your post.I will keep visiting this blog very often.It is good to see you verbalize from the heart and your clarity on this important subject can be easily observed. Thanks again! Check this out .. Jump Ball Up .. Simple and addictive .. Cool list!, but I think this game 'Hero Quest Saga Dragon Knight' developed by RoosterDuck Entertainment should join this list! Check it out! Also another good free game to consider is UFO Explorer. retains your attention for quite a while. This is a game I wrote over the course of 2015 - Star Dancer (search for mattiesgames on googleplay ) - it is a space strategy with 3d space combat. Free and Paid, No ads or in app purchases - old school gaming glory with modern graphics. I am surprised Zenonia and pixel dungeon are not on this list. Though for beginners I would recommend playing "soft pixel dungeon". A friend of mine recently shared UnblockMe to me and I found it interesting and highly challenging especially as you go through the levels. Amazing game. Kudos to the developers. Android Game Development - Android being one of the most popular mobile platforms of modern times, Android game development has shot to popularity within no time, MobileAPPtelligence [dot] com is a leading Android game development company, developing games for Android devices including phones, tablet and phablets in genres like action, strategy, RPG, sports among others. This one is somewhat a new approach towards shooter games. Need more levels though.. I like The Ugly Chicken, and her music it's great!!!!!!!!!!!!!!!!!!!!!!!!!!!!! Because gameplay is far, far more important than fancy graphics. The greatest looking game could still be a let-down, but good gameplay can't be ruined by a lack of hi-def 3D graphics. These free Android games are the newest ways to kill your time and of course they offer pure entertainment that you will surely be addicted to. I think this game should be in this list. Omg The reviewer who wrote the article on Angry Birds 2 needs to grow a brain or use spellchecker. The company is called Rovio, not Roxio, moron!! hey guys try this very nice android game "SAVE THE BIRDS", its a very cute game best for time pass, you will love it. Top 9 free phone games of all time FREE u must have !!! You have missed out Idle Town! Umma Gamma is a mobile puzzle game for Android and iOS with increasing levels of fun and featuring an original soundtrack. Over 360 unique puzzles! Umma Gamma is a simple, refreshing take on the word puzzle gaming genre. With multiple levels of beautiful, high resolution word collages, it’s up to the player to find all the words in each puzzle! It is my first android game. Please give me some feedback what to change or do better. It's a quick reflex arcade game. You should try "Counter Pong", a mind switching self played arcade. Crush Frenzy is my favourite game this year. Cross between Tetris and Candy Crush. I like the feature that lets you play against your friends! I just release my first game called "Twandy", it is about two candies, it make your eyes be fooled before you can reach 100 points. It look easy to play, just click on the left or right of the screen, depend on candies 's color BUT 90% players can't get more than 10 points at the first time! Now, do you want to try it? e have just made a game called "game of sniper" for android, its been hard work and the game is now on play store since yesterday. i am reaching out to everyone in this community so they can help me test the game and give suggestions for improvement. you can install it from play store (just available for android now) and comment and rate it. The Cleanwiz is also excellent. You should add Tap Titans. Its really simply buttons of fun and weirdly addictive. JetPack Joyride is an amazing game!! Very good list. like dead trigger2 most. Thanks for sharing such kind of android games. Today, there are lots of new Android games that are for free. They offer unlimited fun and entertainment which makes the game more exciting and addicting. Thanks for sharing this useful resource! Well, if anyone is interested in a permanent source to download free android games, then visit this blog, it has number of games to get for Free! More and more free Android games are being released into the market. For sure all of them will offer the best fun and entertainment to the users. Candy Crush Soda is better than Saga, IMO. I don't play it but my wife loves it, and I like to watch her play. I found a better game: RATAFISH! Is a very addictive game! My record is 35 points... I think that is imposible to get a better score. I'd recommend Boxly ( play.google.com/store/apps/details?id=com.freakyturtle.boxly ) Its a really simple idea (catch the circles in the box) but difficult and addictive. Game is definitely a needful part on your Android phone, right? Playing games is a good way to help you kill time and get fun. Jacks3D - fun multiplayer game I am addicted to. It might be too hard for some but the wacky ball is an awesome twist. Digging Deep: Tap the blocks is getting more and more popular lately after the last update and I hope it will get more attention soon. Arcane Legends and Order & chaoes are pretty good RPGs. glad to see a couple of titles that are new to me listed. I'd love to see a "sleeper" so to speak, game list. Clash of Clans is a game that has a lot of focus on planning and execution of strategies and one of the most important aspects of the game is to have a good builder plan to help secure your base and to destroy enemy units that will come to attack your base. These all aren't exactly "free" games. Clash of Clans for example.. Sure you can play it for free but don't expect yo remain competitive for long especially against those tossing $100 into the game a month ..ridiculous. Almost all these "free" games are like this. People usually get discouraged about it because of raids on their bases. But raids are a part of the game that makes it fun, especially when you gotta work out strategies to prevent those raids from affecting you much and doing raids yourself. Been playing it for a year almost and I haven't spent a dime on it and I must say I've met great people and I love it. Nice! I'll check it out. You forgot the big guy... "Asphalt 8"
Yes, that is an awesome game! Like I mention, it's a work in progress, so more cool apps will be added soon.